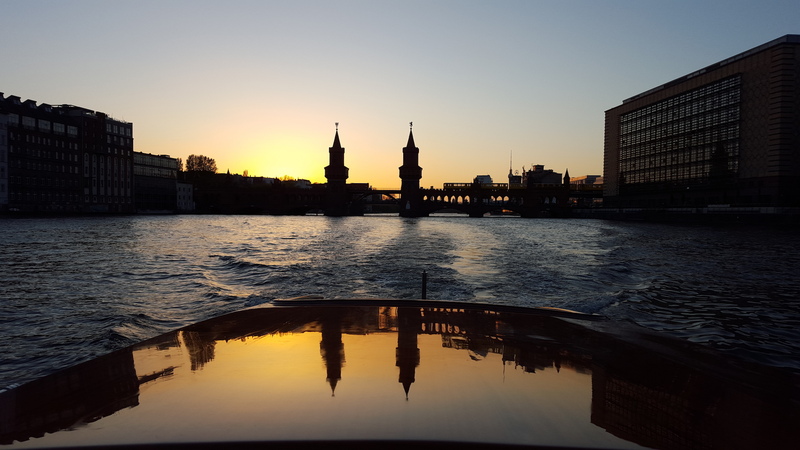 Discover Berlin in a very special and exclusive way: in a small circle on a boat tour with the BELLINI LIMOUSINE or on a large scale during a boat trip with the MOTORYACHT FITZGERALD. During a cruise through the city center, you will experience first hand the Kanzleramt (Chancellery), the Reichstag, the Museum Island and Berlins' Cathedral as well as other sights. We can also take you on a cruise through the Landwehr Canal, passing the beautiful bridges of Berlin with our beautiful ships. It has a feeling of "backstage" when closely passing to the pulsating life of Berlin's trendy city districts “Kreuzberg” and “Neukölln”. Afterward, we drive through the zoo over to “Charlottenburg”. On our boat tour through Berlin, you experience all the different ways of living that make our city so wonderful. Upon request, we can book a city guide, who will introduce you to the history and secrets of Berlin. We are happy to take care of your well-being with a fine selection of drinks and on request, we also offer a catering. Our crew is pleased to welcome you on board for an exclusive sightseeing tour! Arrange your private and individual cruise on Berlin's waterways on one of our beautiful ships! Call us: 030 - 554 994 60 or write us through our contact form. We will gladly prepare an individual offer.